Published by Joshua Clare-Flagg on 18 Mar, 2015. 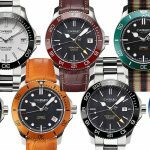 Christopher Ward went a bit crazy earlier this year, releasing a whole new line up of their most popular model, the Trident. The new range has 4 models, costing from £300 to £1500. 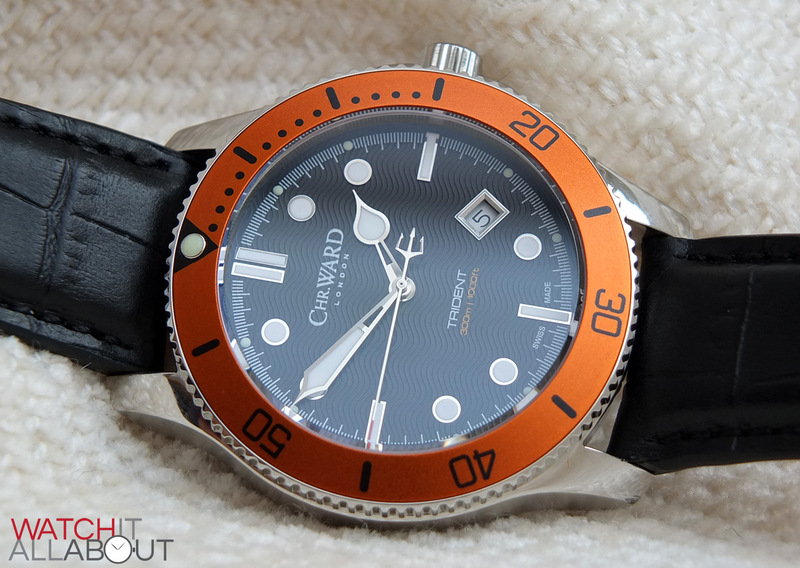 The model I’m reviewing here is the base model, starting at £300 – the Trident Quartz 300. 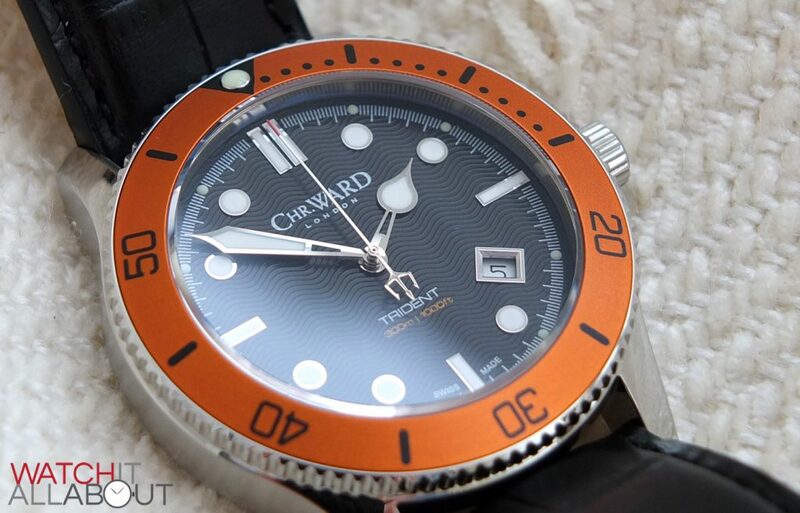 Basically, this watch is exactly the same as all the existing Tridents, but with a Quartz movement inside (the other new models have a reworked case, ceramic bezel and higher water resistance). 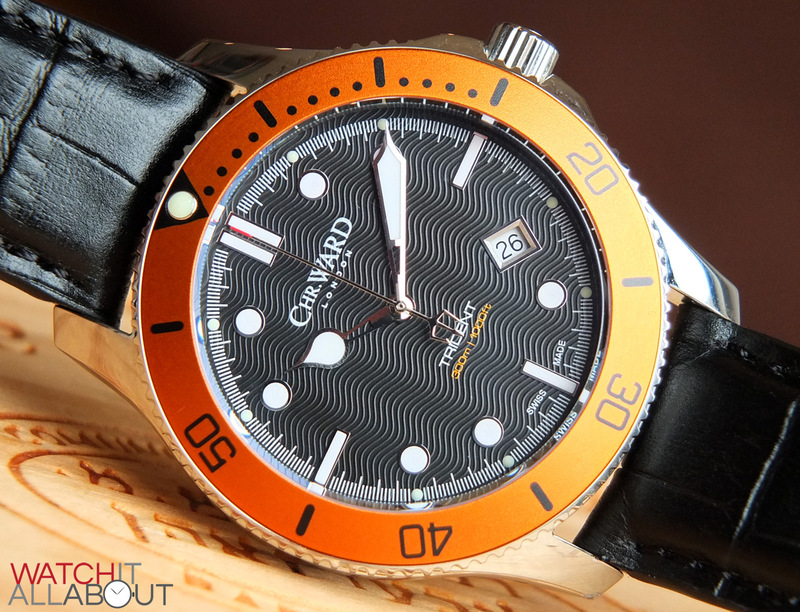 So, even with a Quartz movement, is it still good value at £300? Let’s take a look and see. 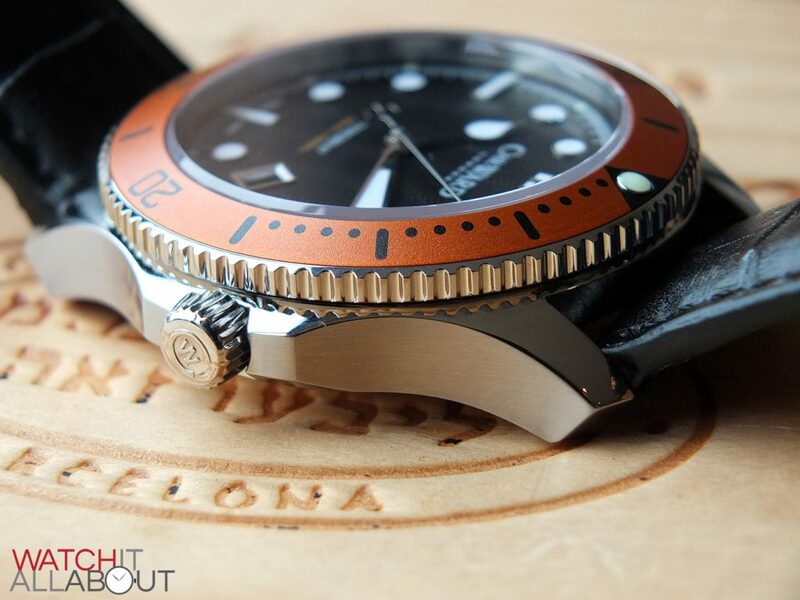 The case is exactly the same as the original Trident, bar the upgraded caseback. Measuring in at 42mm in diameter, it’s the same size and provides an impressive amount of wrist presence. Lug to lug, it’s 51.5mm, and is has a height of 11.75mm. 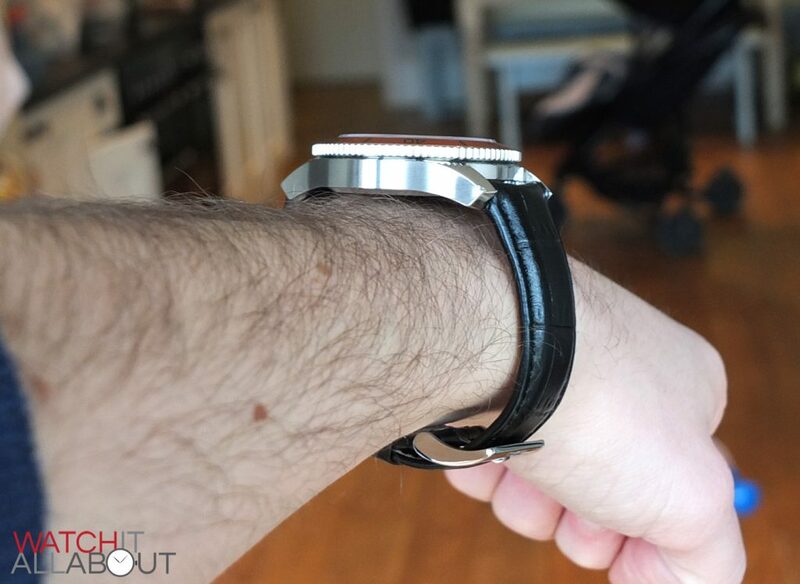 The height has been reduced by over 1mm, from 13mm – which actually makes quite a difference on the wrist. Thanks to the sweeping, fluid lines of the lugs down either side of the case, it fits extremely snug to the wrist. There’s no bulge on the underside at all, but rather it’s completely flat. 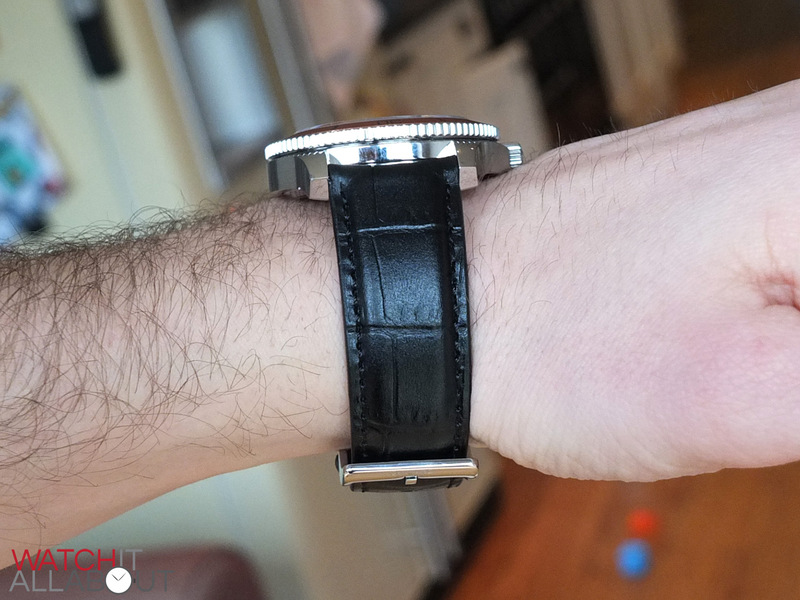 This means that it will fit under your shirt and cuff quite easily for a 42mm watch. 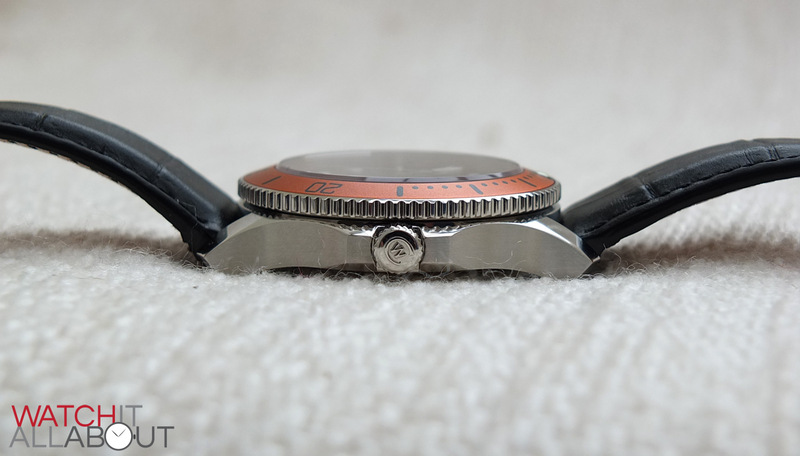 This thinness is mainly thanks to the quartz movement, which is much smaller than an automatic which was used in the old Trident. The weight of the case alone is 77g, and the total on the leather strap is just shy of 100g. 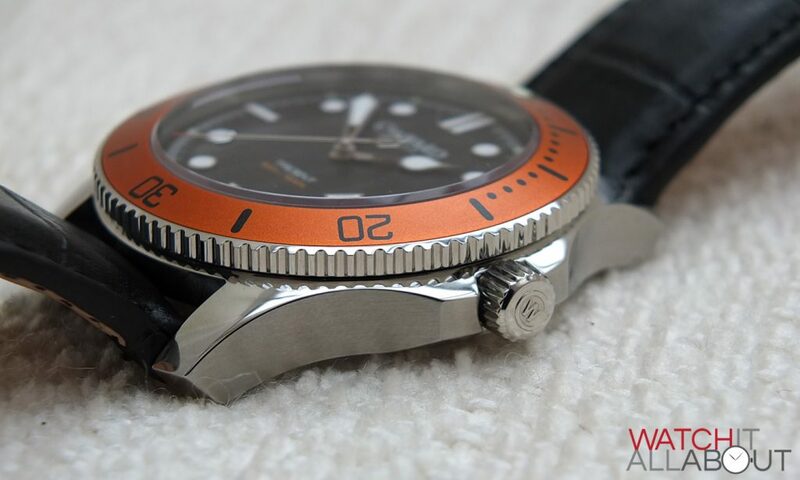 This is actually reasonably light for a divers watch, which is a positive as it’s easy to wear for extended periods of time. 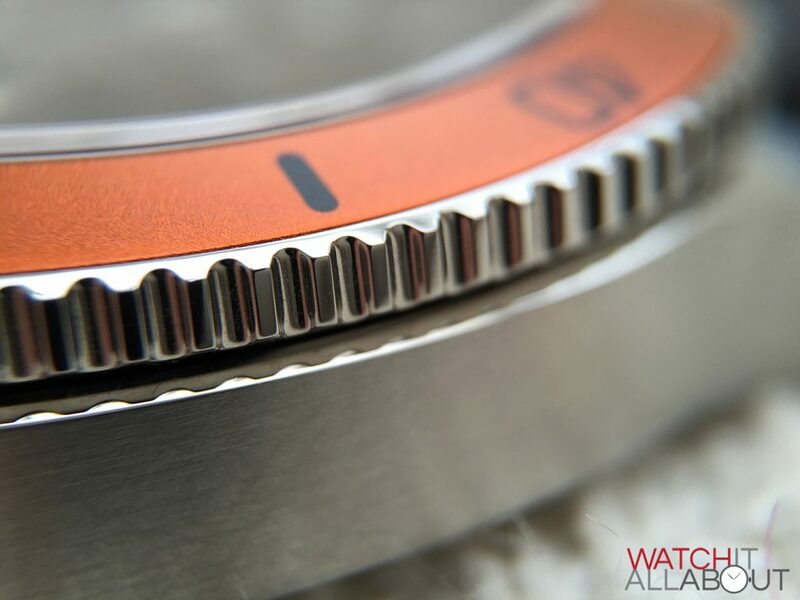 The case is made of 316L marine-grade steel, which is the standard grade for a decent watch. The finishing is spotless, with all brushing well defined and tidy, and all polishing is mirror-like and without blemish. The sides are brushed, and the top and bottom are polished. 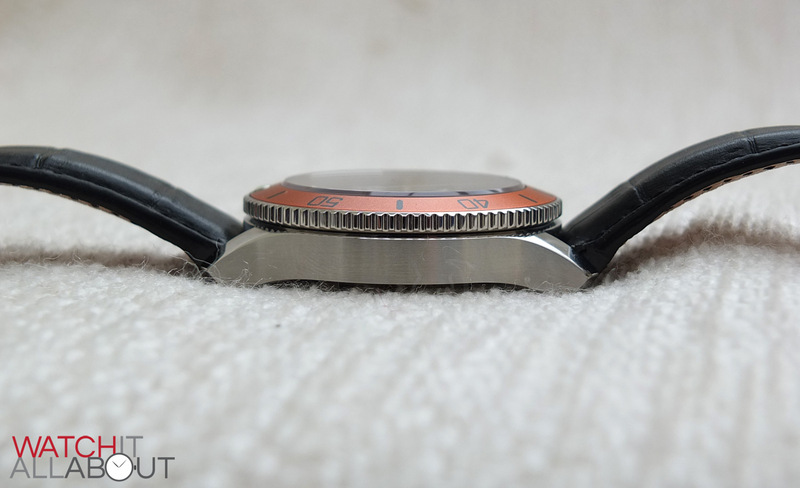 The bezel is uni-directional, so it only rotates one way: anti-clockwise. 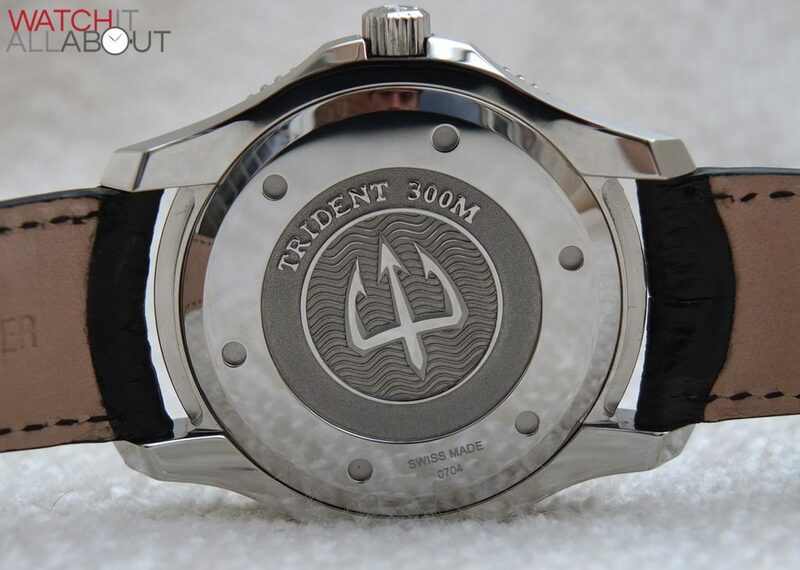 It has a regular aluminium insert, which is one of the main upgrades you’ll find on the more expensive models of the new Trident range – they have ceramic bezel inserts instead. 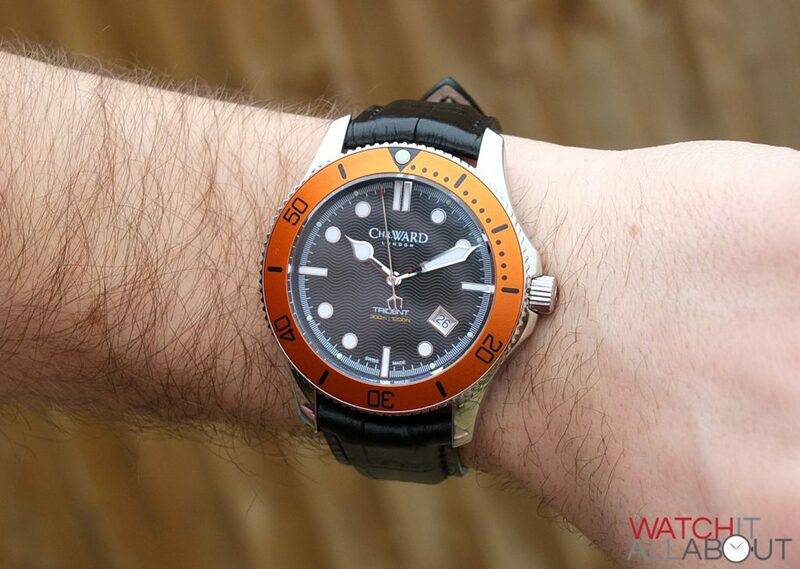 The model I have in for review has a striking orange colour bezel, which reminds me of an Omega Planet Ocean. 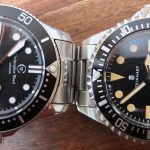 The printing of all the bezel markings are definite and accurate, and it also features a neat triangle at 12 where the lume pip resides. The bezel action is smooth and each point provides a decent click. It’s also lined up perfectly, which sometimes does’t happen with Christopher Wards. 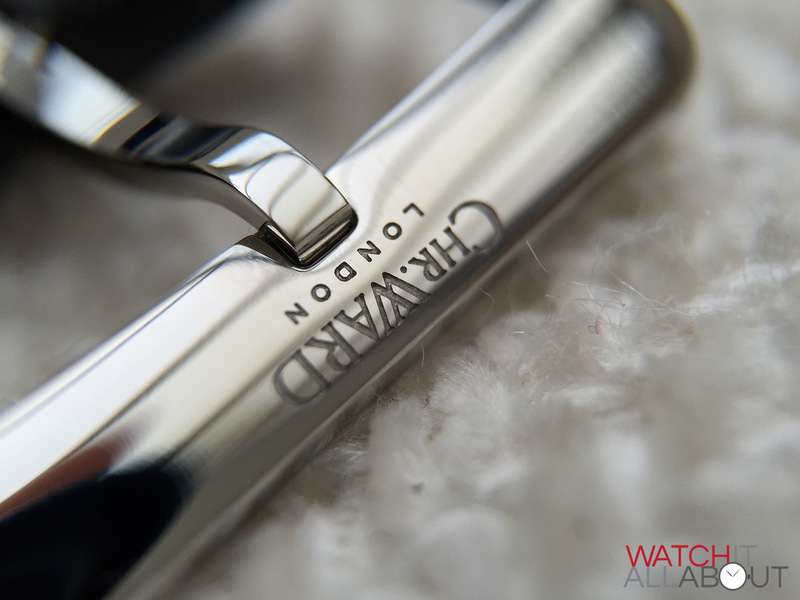 The screw-in crown is also extremely well machined and completely polished, with a decent grip and the CW logo embossed on the end. The grip is quite gentle, but is enough to allow you to get enough purchase on it to unscrew the crown. 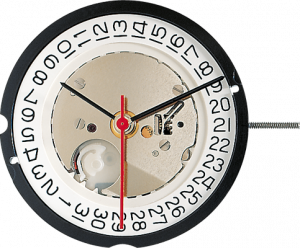 As it’s a quartz movement, it’s not going to be very often that you’re likely to need to do that though. Sitting atop the case is a 3.1mm thick sapphire crystal. This is thinner than the original, which had a 4mm thick crystal – but fret not, it doesn’t really make much difference. It’s not as if it’s “lesser”, as it’s still extremely thick and durable. 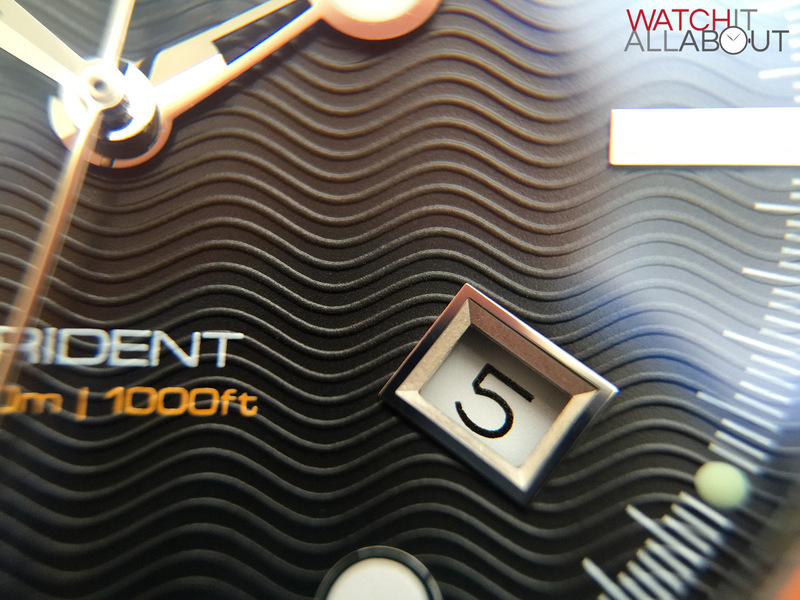 The Trident 300 has the same 300m water resistance rating as the original Trident had. This is suitable for scuba diving, so it will most probably cater to all your swimming needs. 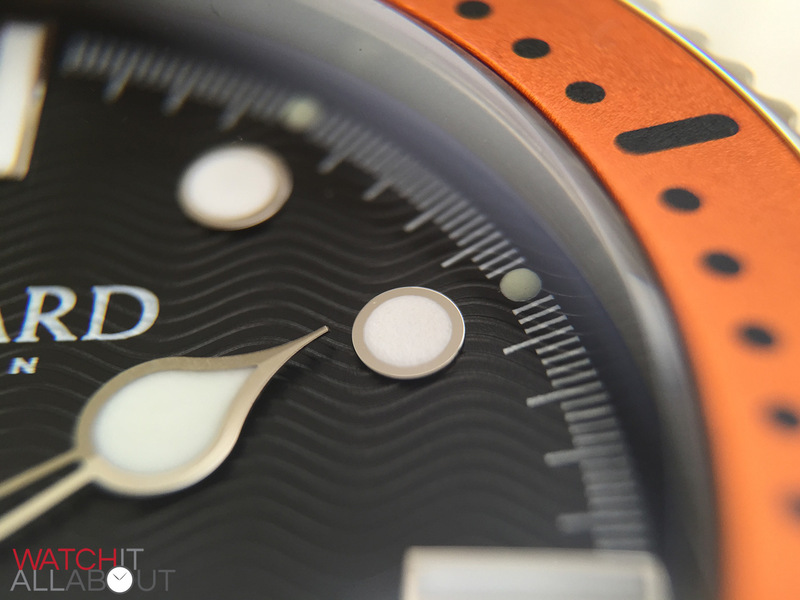 The main thing that is different is the new screw-down deep-stamped 3D caseback. This is a massive improvement. 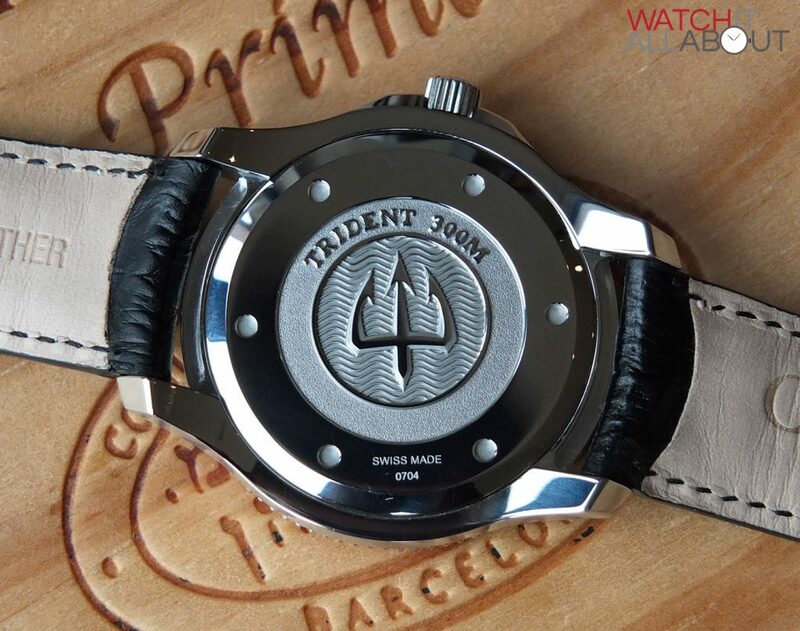 The existing caseback was very plain, with an incredibly light etching of a Trident. 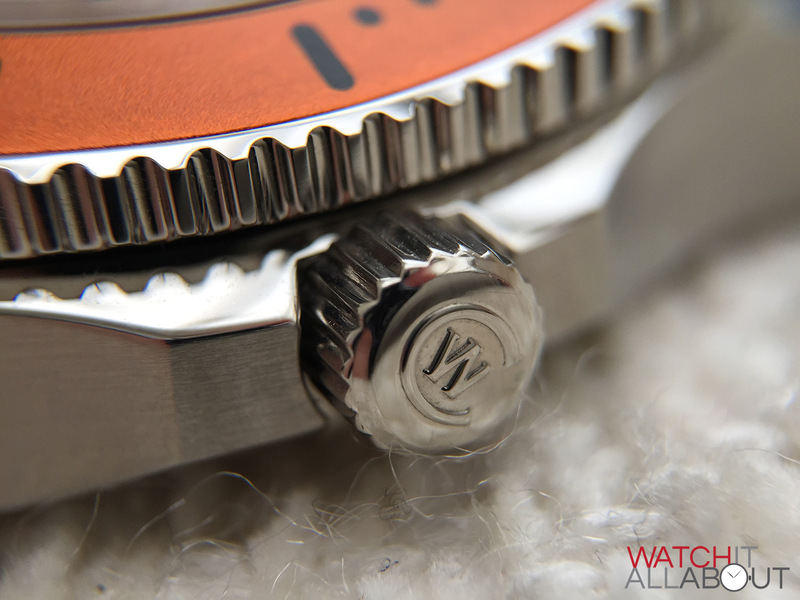 But the new caseback is deep-stamped, with impressive detailing and a high-quality feel to it. It has been very accurately manufactured, with a nice touch of the top being completely polished amongst a blasted texture to the lower level. The case in general is as impeccable as the existing Trident. 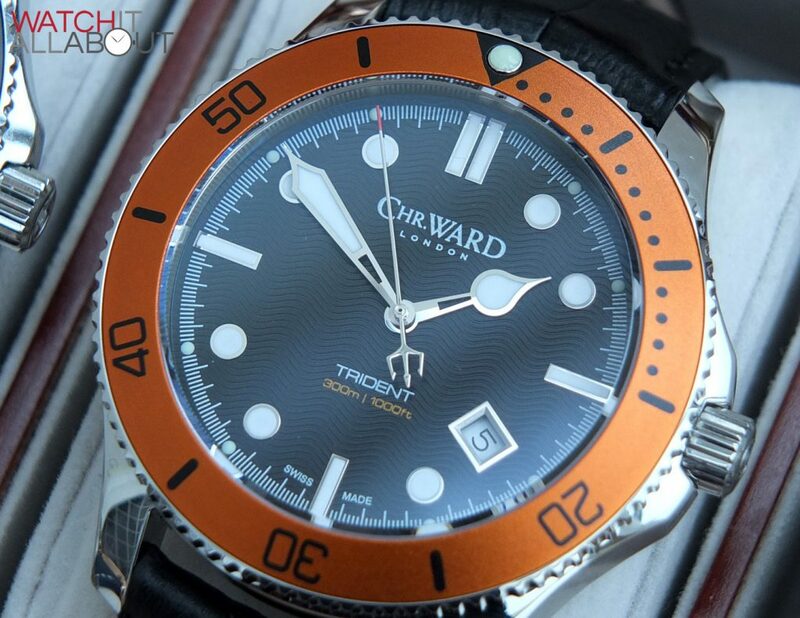 I believe that this is still a exquisitely made watch for the money, even without the upgrades the higher-tier Tridents boast. 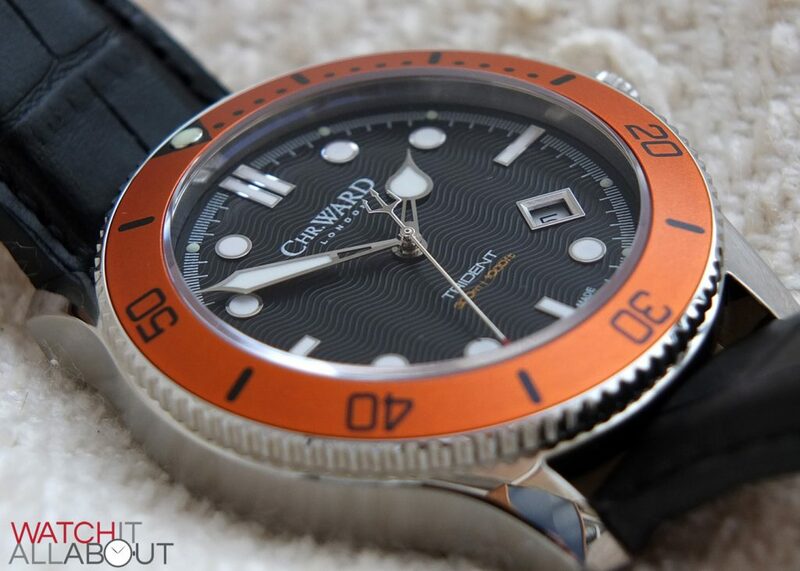 The dial on the C60 Trident 300 is literally exactly the same in every way as the original. To me, the main feature is the gorgeous guilloche wave pattern texture. 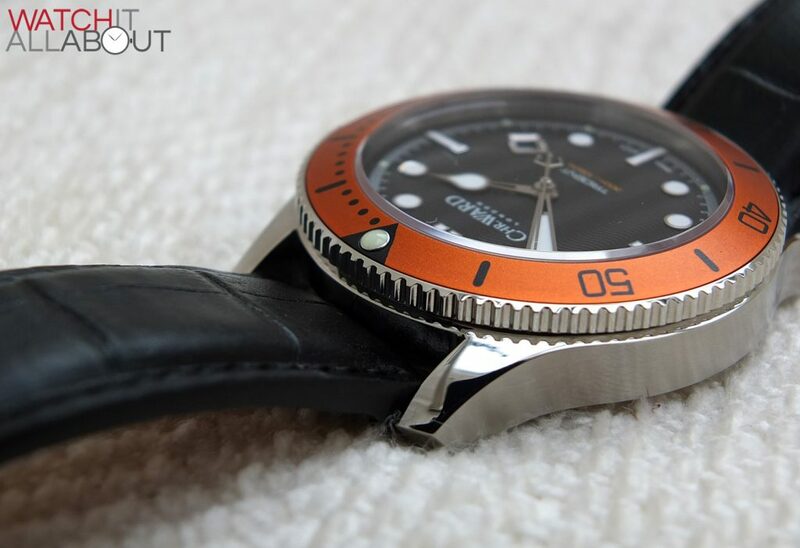 Whilst this is an ode to the Omega Seamster, I feel that the C60 is unique enough to pull it off in its own way. The texture is very sharp, and provides a variety of reflections based on the angle of the light. The hands are accurately made with no marks or imperfections on them whatsoever. They’re well designed in my eyes, with the hour hand being an onion shape, the minute hand being a sword, and the second hand being a thin point with the very cool Trident counterbalance. They are all polished steel, and the hour and minute hands are both pitched – so they provide an interesting light reflection. One thing I do love is stunning applied hour markers. And that’s what you get with the C60 Trident. The markers are all lume filled, and have a polished steel border to them. The 12 marker is a double baton, the markers at 3, 6 and 9 are single batons, and all the rest are discs. 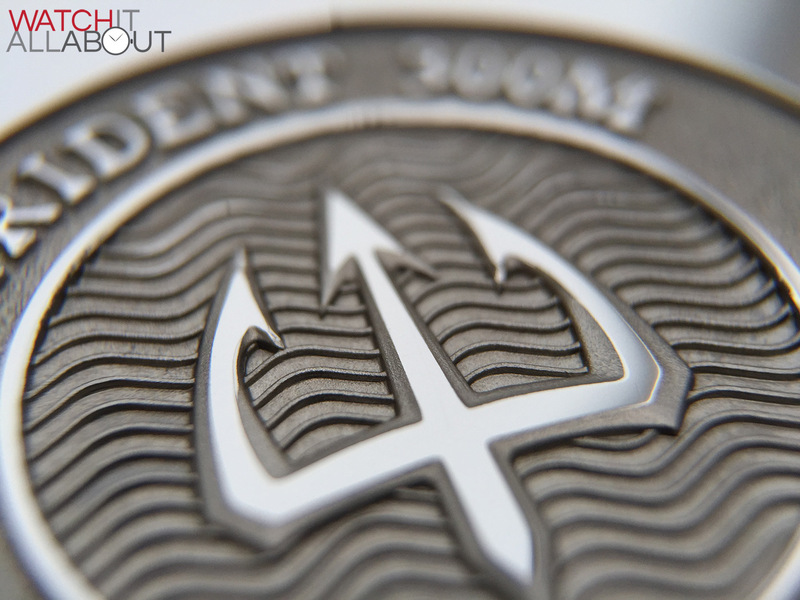 The date window is located at 4, which has caused a fair bit of controversy throughout the lifetime of the Trident. Some are extremely put off by it, but I feel that it’s nice to have it in a more interesting and unusual position. The border surrounding the date window is polished, like the hour markers and hands, and is made just as accurately as the rest of the dial. The printing on the dial is surprisingly delicate considering it’s printed directly on the wave pattern. The printing is all in proportion to the overall design, and nothing is too large or too small. 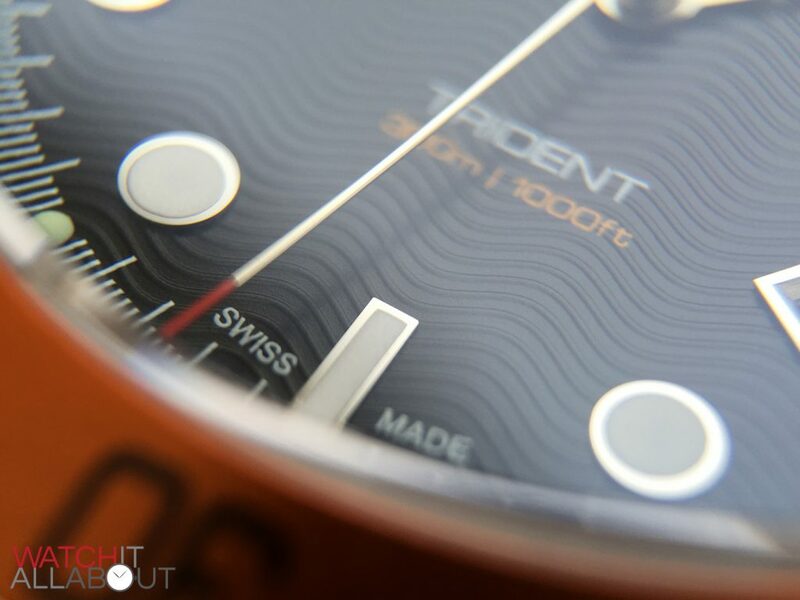 The lume has had an upgrade on the whole range of Tridents. The lume is still SuperLuminova, but a higher grade is being used. This is a great plus as the lume on Christopher Ward watches has always been a frustration of mine – it’s never been particularly strong. 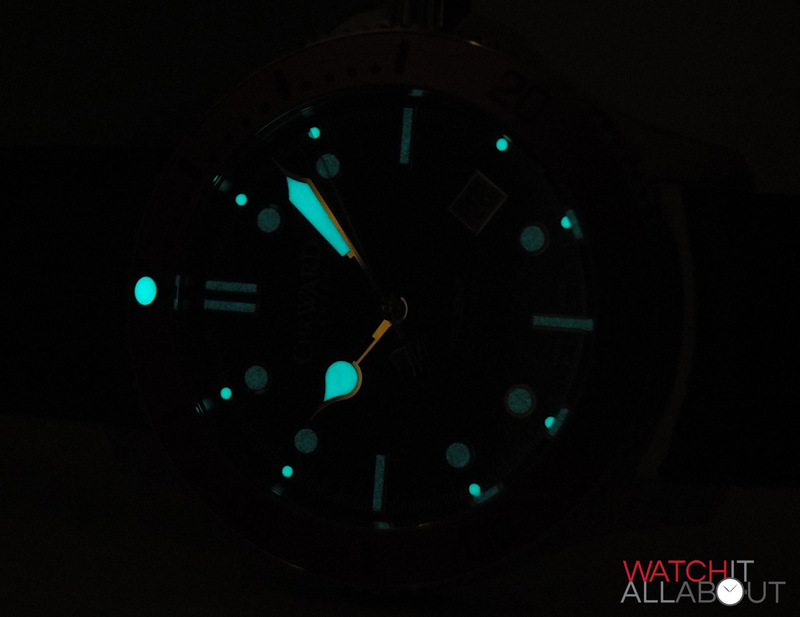 But the new lume is indeed stronger, and lasts longer too. On the whole, the dial is the exact same as before – just as flawless, and just as exceptional. 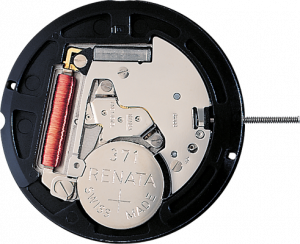 The movement found within the Trident 300 is the Ronda 515. 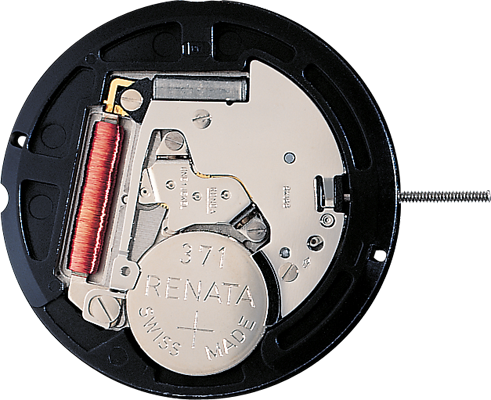 This is a well-known and rather common Swiss Made workhorse Quartz movement. There’s not usually a lot to say about Swiss made Quartz movements, but in many cases that’s a good thing. It’s reliable, not a lot can go wrong with it, and is easy to replace. It has a 4 year battery life, so there’s no need to worry about servicing it or changing the battery for a good while. It’s accurate (according to the specs) to -10/+20 seconds a month, but is usually better in real life. 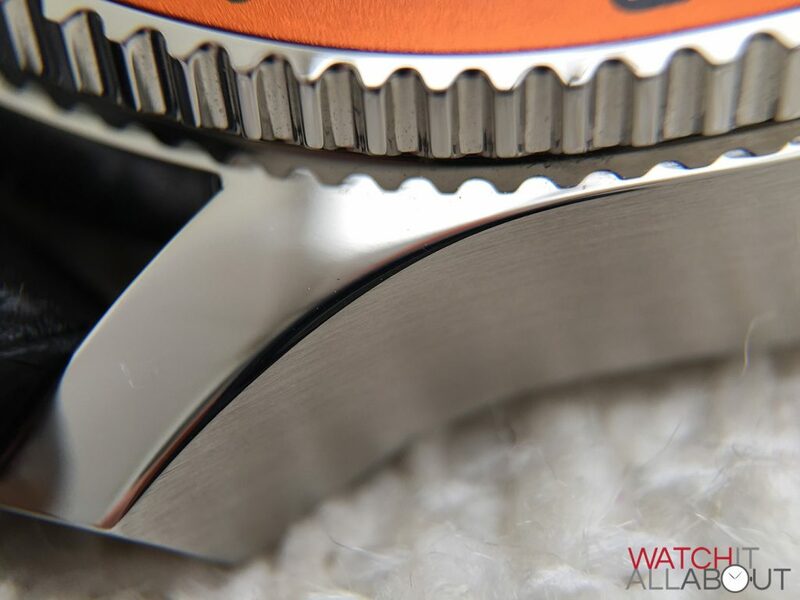 To be completely honest, you’ll be pretty safe with any Quartz movement nowadays – so you know that a Swiss Made one will definitely serve you well. 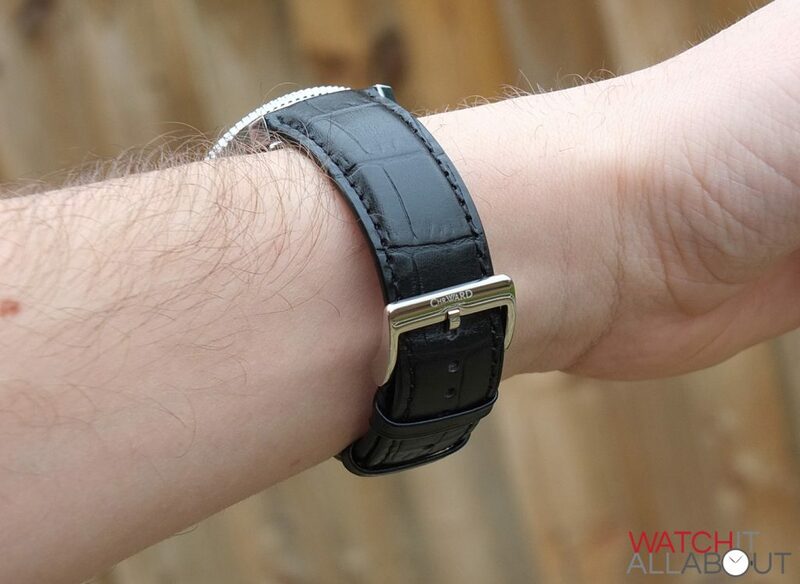 The leather strap is 22mm wide at the lugs, so fairly wide to counteract the decent 42mm case. 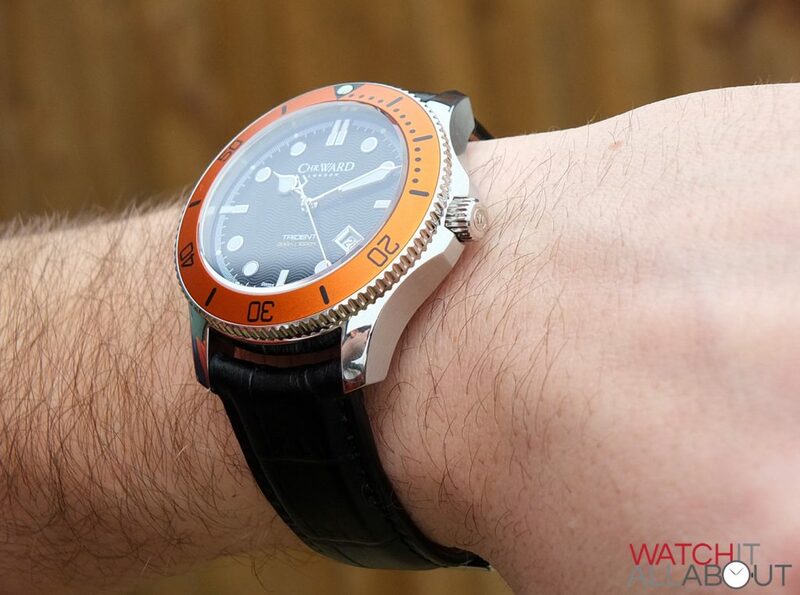 The black leather is decent, as is the case with every Christopher Ward. It’s not as good as the leather used on the higher models, but it’s still above average for this price range. It’s very soft and supple, and breaks in well after a week or so of wearing it. 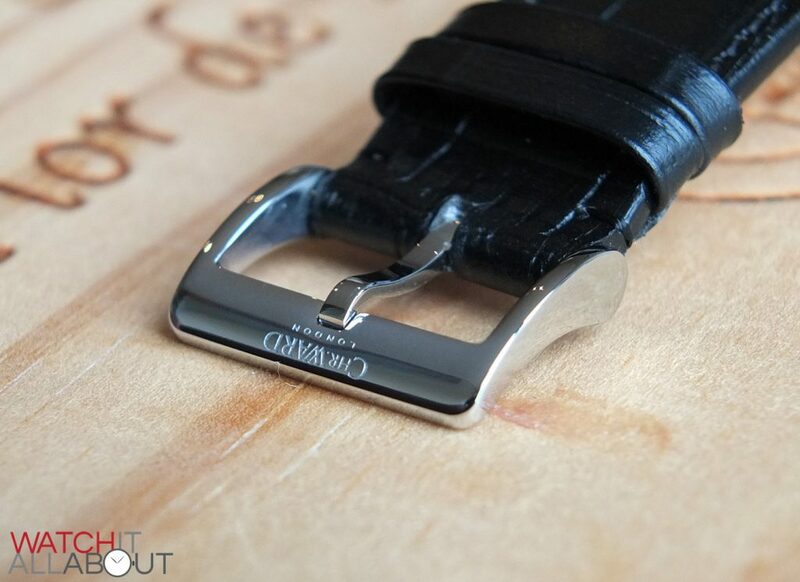 The buckle on this watch is actually the very first standard buckle I’ve seen on a Christopher Ward. Every watch I’ve ever had or reviewed have been either a butterfly clasp or their wonderful Bader deployant buckle. So it’s pretty interesting to finally get my hands on a strap with the standard tang buckle. To be honest, there’s never a great deal you can say about them – there’s not a lot to them really. But the buckle found on the C60 300 Quartz is good quality, with a high level of fit and finish that matches the case. 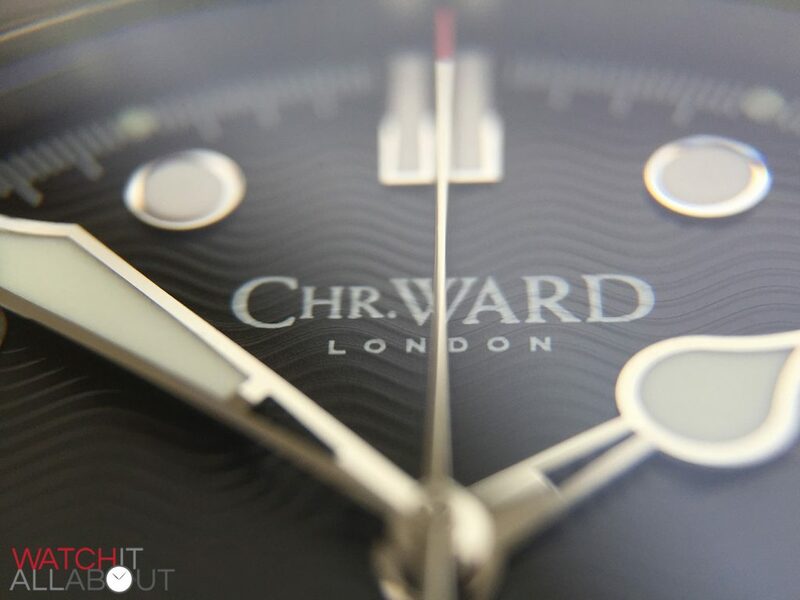 It features the Christopher Ward logo deeply etched on the top bar, which is perfectly done and is a touch that supports the appearance of a high quality timepiece. 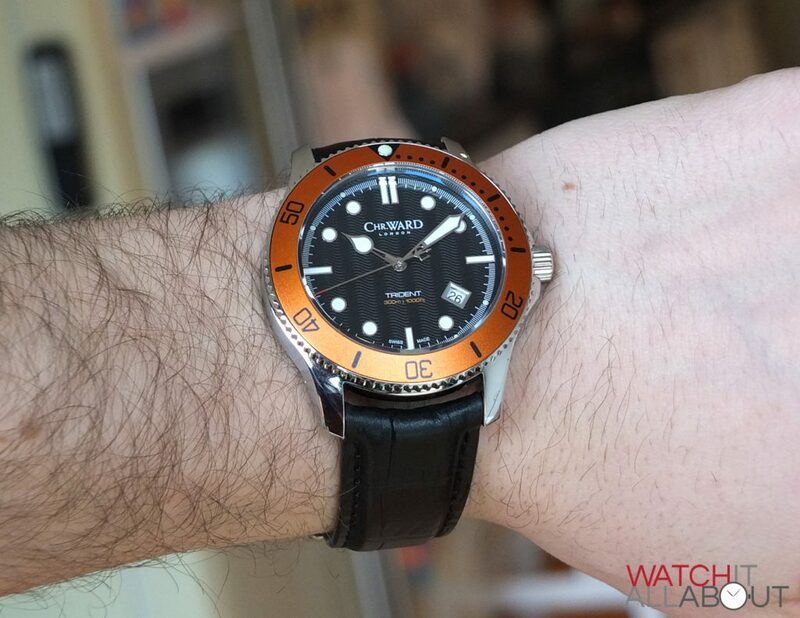 One thing definitely worth noting is that the strap that came with this C60 is quite long. 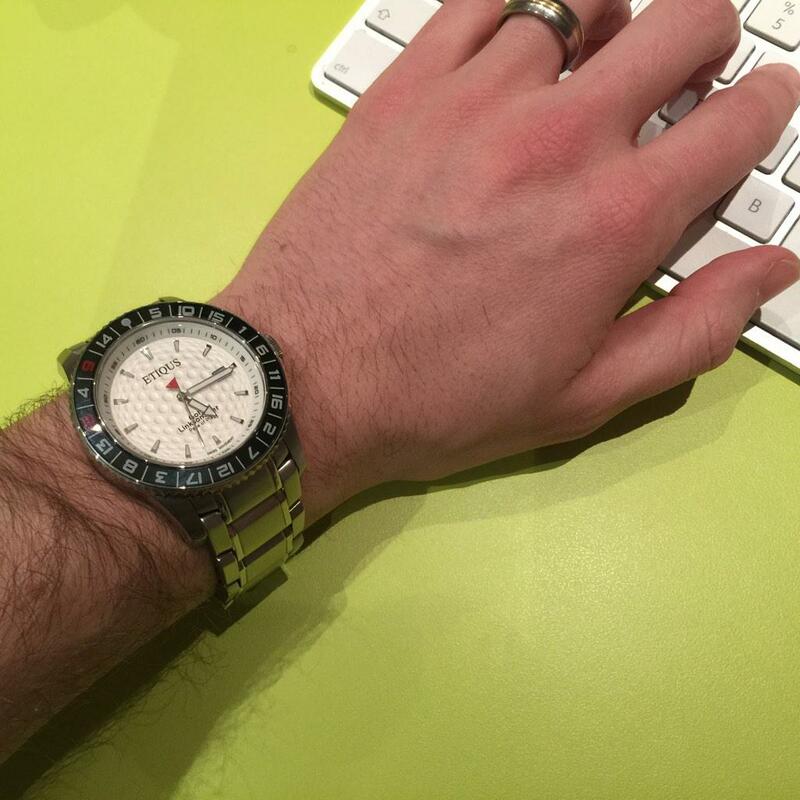 I have a 7.5″ wrist and I’ve got it on the smallest hole, and it only just fits. Obviously you can easily get extra holes punched into the strap, but I thought it was worth a mention. 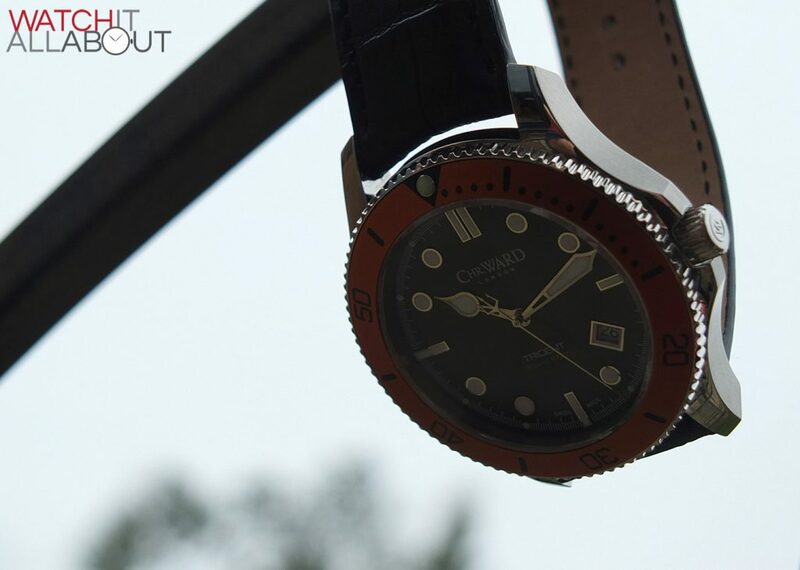 The strap is comfortable, and the usual high quality that Christopher Ward provides. 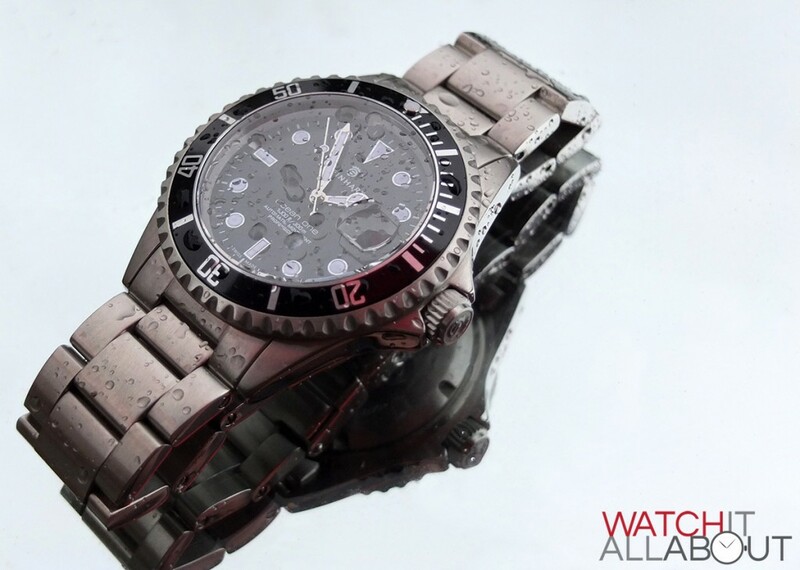 I can’t help but mention the Steinhart Ocean 1 – a watch so regularly compared to the Trident. For £280, you get a Swiss Made automatic with impressive build quality. The only downside is the unimaginative design – it’s a full-on Rolex homage. 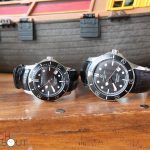 If you’re feeling the British vibe that comes along with Christopher Ward – then I have a new(ish) British brand to recommend, that being Etiqus. They make watches to the same high standards and specs, but are not Swiss Made (but do have Swiss movements). Of course, it does have a slightly unique selling point of being a dedicated golfers watch. The Sport Pro starts at £269 and is very good value for money. 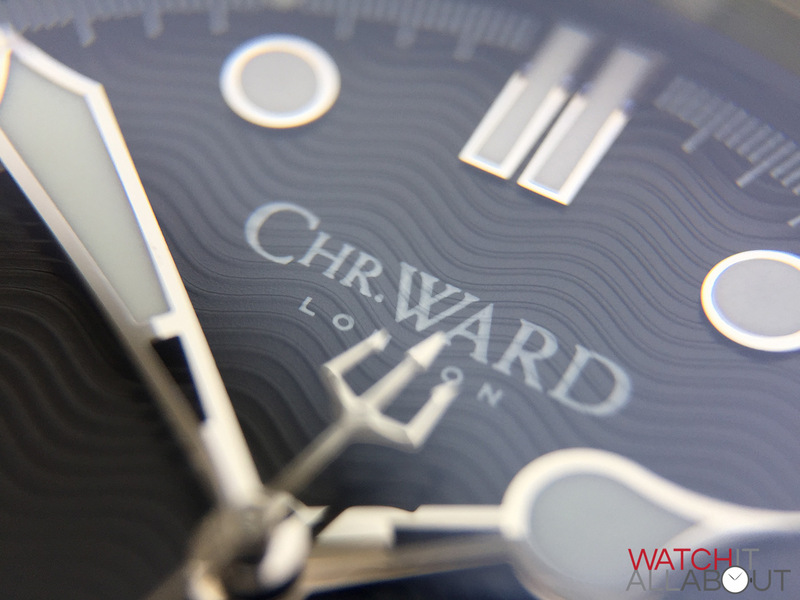 The Trident range has always been extremely successful for Christopher Ward. There’s no surprise that it’s their most popular model. Now though, it’s exciting to see the range expand and offer a wider selection of watches. 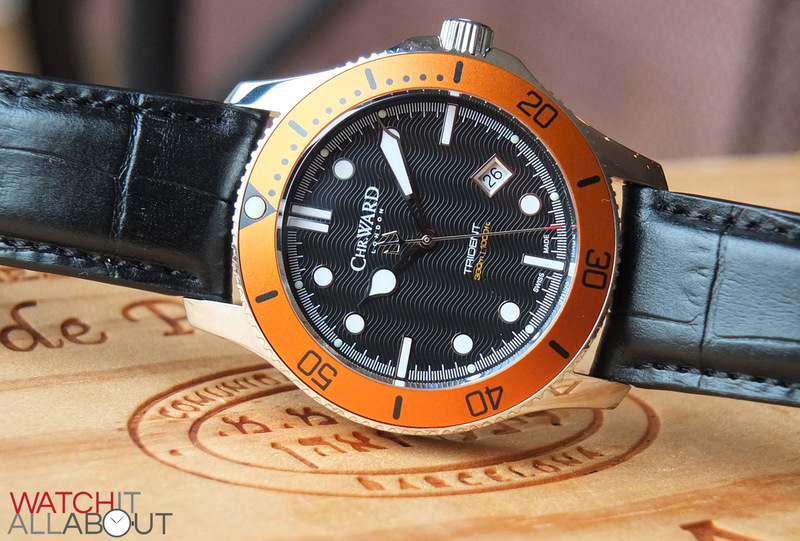 Yes you can get Swiss Made autos from other manufacturers at this price, but it doesn’t stop the Trident 300 being great value still. 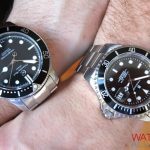 Plus, having an automatic movement isn’t the be-all and end-all, as some people purposefully look out for a Quartz watch – whether it’s their preference, or if they’re buying the watch for a specific purpose. So the introduction of the Quartz 300 is an excellent idea. 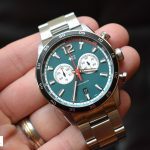 Chris also said that this can be used by a lot of people as an introductory watch into the world of luxury timepieces. 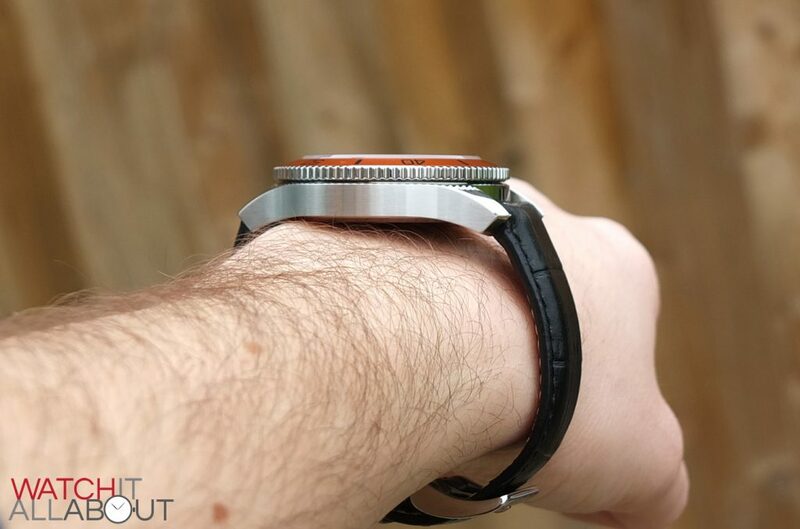 There’s no doubting it, it’s still a brilliantly designed and built watch. Not forgetting the 5 year warrantee – that is also very valuable. 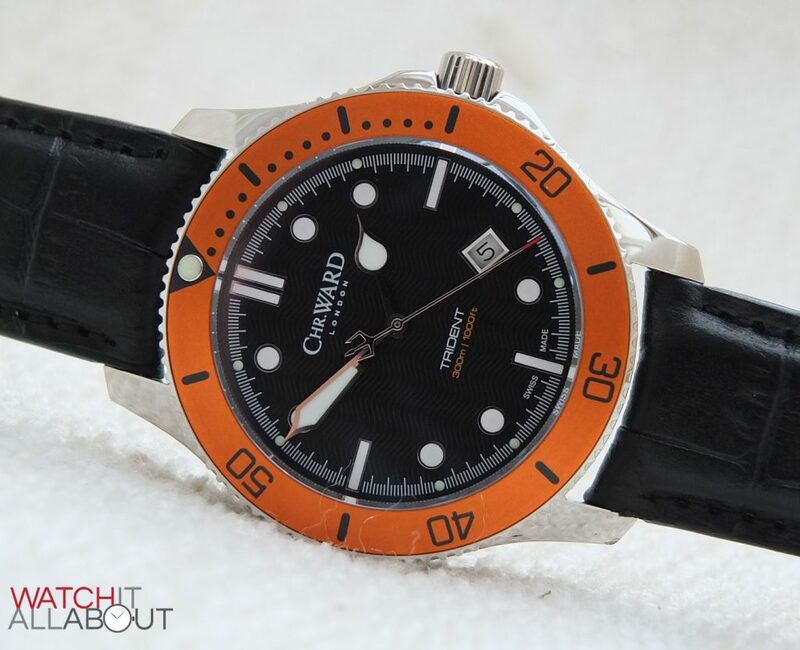 So yes, I’d definitely recommend the Christopher Ward C60 Trident 300. Great site, stumbled across it today and very impressed. 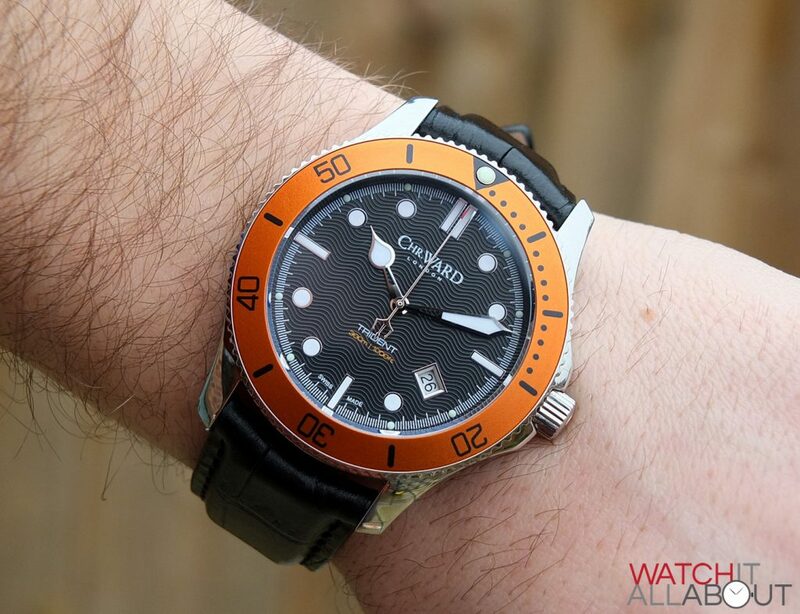 I’m looking to get a C60 300 shortly but am stuck between getting the 42 and 38 mm sizes. I have a 7″ wrist so I suppose it’s on the smaller side so would err towards the 38mm. 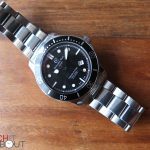 Trouble is I have an Omega Seamaster 300 which is 36mm and I have always felt I should have got the larger size however I’m also not a fan of having giant clocks strapped to my wrist!! Any advice from you or your readers would be gratefully received. Nice review, love the pictures too! 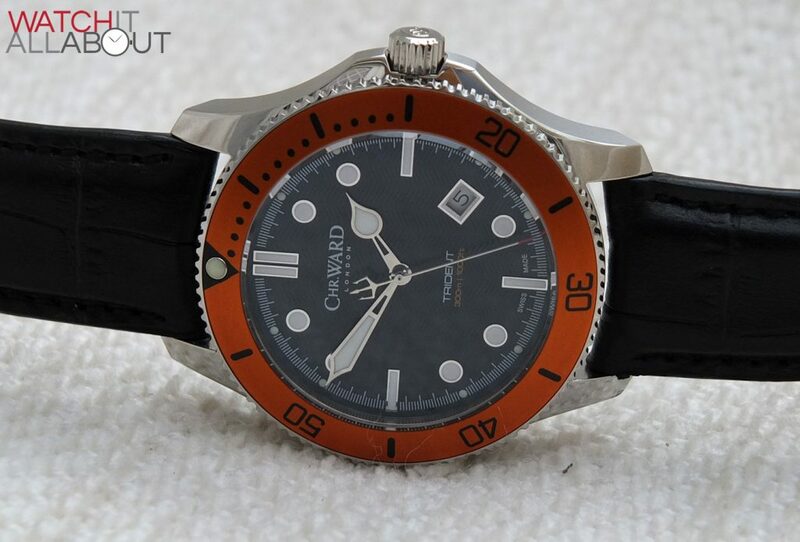 I own the C61 38mm automatic and I feel like this quartz version really cheapens the brand. Especially since they’re charging almost the same price as the old automatic. 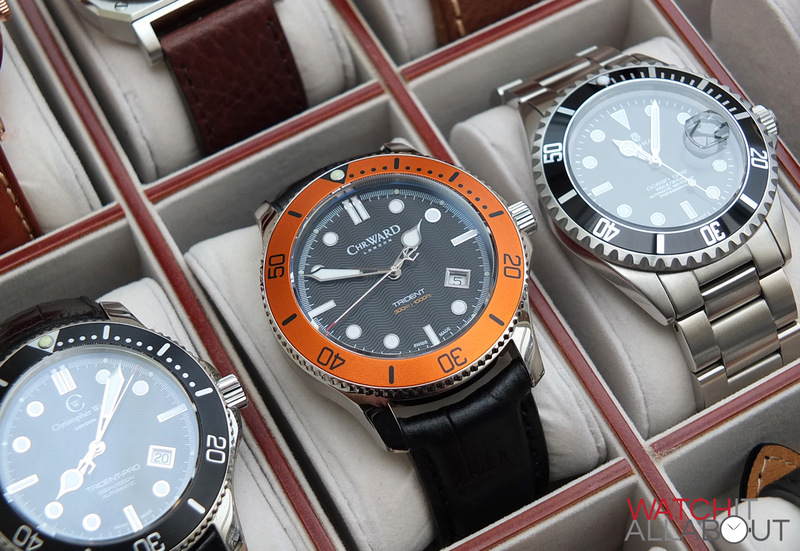 I probably wouldn’t buy another CW as some of their quartz watches are more expensive than their automatic pieces from back in the day. Sad to see CW stray away from what brought them their initial success. Hows the ticking? Is it loud? All of the quartz i’ve seen bother the hell out of me. Thoughts?